A support group you can hold in your hand, this loving and inspirational collection of intimate stories,by cancer patients and their loved ones, medical professionals, clergy and friends, is a must-read for anyone affected by cancer. Writers shsre all their experiences-from the diagnosis, to breaking the news to loved ones, to discussing the effect on home, school and work, from securing a medical team to living through an ever changing self-image, from the embarrassment of losing hair to discovering a new spirituality. 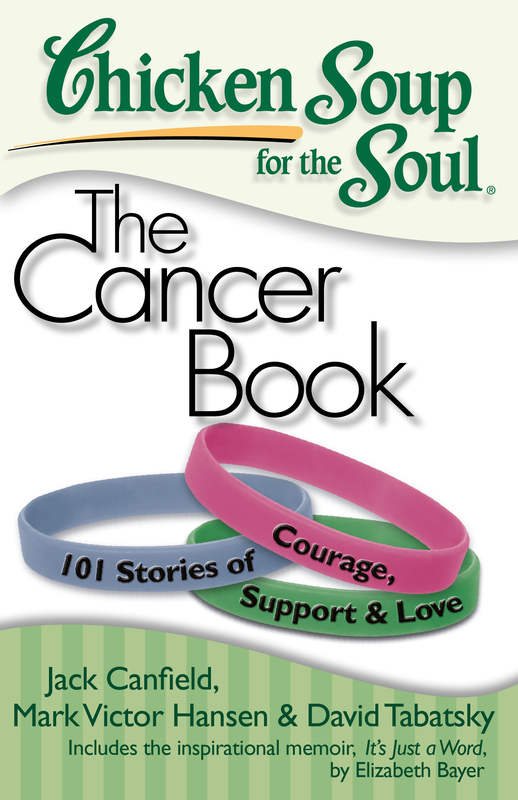 A bonus book, a no-holds-barred memoir by cancer patient Elizabeth Bayer,is bound into this volume, after the full-length Chicken Soup for the Soul book.